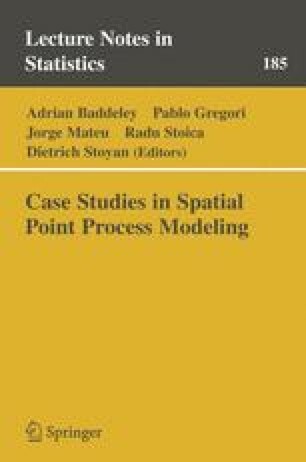 Recently, locally scaled point processes have been proposed as a new class of models for inhomogeneous spatial point processes. They are obtained as modifications of homogeneous template point processes and have the property that regions with different intensity differ only by a location dependent scale factor. The main emphasis of the present paper is on analysis of such models. Statistical methods are developed for estimation of scaling function and template parameters as well as for model validation. The proposed methods are assessed by simulation and used in the analysis of a vegetation pattern.